The officials who passed this law in New York and then cheered like they had cured cancer would not have been able to do so if they believed that a human being is a creation of God. They have to believe that a human being is just a biological accident with no soul, no divine spark, no plan from Heaven, — and therefore possessing no inherent reason to be preserved. The supporters of this law love to use the word “unwanted” because that grants them the power over life and death. To them, if a life is “unwanted,” it is worthless, and if there is no higher power than their assessment, then that is, chillingly, the end of it. By their logic, they are right. If there is no God with an interest in human life, and no eternal consequence for human actions, it would be weak, silly, and sentimental NOT to do away with a life that was “unwanted” — whether infant, octogenarian, or dissident in the prime of his/her life. 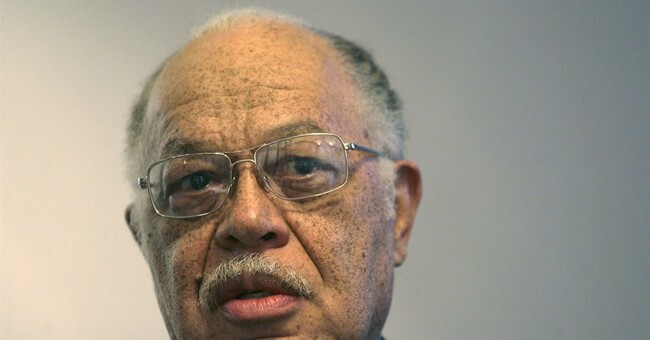 Kermit Gosnell argued that even if the infant he aborted was past the 24-week period, his judgment about it should be the ultimate authority in deciding its gestational age. HE was the Supreme Power. What the Left ultimately wants to acquire is the power over life and death at ANY age, and that is why they have decriminalized Kermit Gosnell. Nick Searcy is the director of the theatrically released feature film Gosnell: The Trial of America’s Biggest Serial Killer. He is also an actor who has starred in Academy Award winning movies such as The Shape of Water and Three Billboards Outside Ebbing, Missouri, and played Sheriff Art McMullen in the FX series Justified.